You can update from within ClickFORMS. From the "Help" menu, choose "Check for Updates." It's fast, simple, and hassle-free. We spent a lot of time evaluating the field appraisal process. We watched appraisers tap, tap, tap and tap again for some basic functions and knew there was a better way. By gathering only needed information in a streamlined and organized fashion, the new and innovative Inspect–a–Lot app from Bradford Technologies concentrates on field inspection data capture which allows you to complete your work faster and easier. 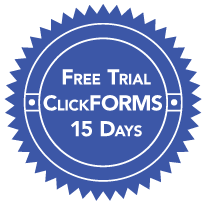 ClickFORMS is optimized to work with the industry's leading sketching programs, seamlessly integrated so that data and images populate ClickFORMS reports. For nearly 30 years, you've counted on us for dependable sketching solutions and our latest version of Apex Sketch is no exception. 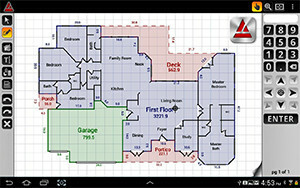 We've combined our powerful desktop and agile mobile solutions to deliver everything you need in a floor plan sketcher. Our new modern drawing engine offers new, powerful, time-saving features and functionality without the huge learning curve. Whether you're drawing with a keyboard and mouse, digital pen, finger or a DISTO laser meter – Apex Sketch v6 is your answer. 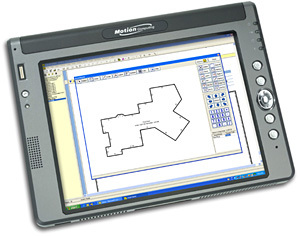 Designed specifically for field professionals required to draw an accurate sketch and calculate area square footage and perimeter values, AreaSketch stands alone when compared to existing sketch solutions. FreeForm Technology™ allows users to draw any sketch. As data is being gathered, new areas can be created on the fly without having to finish the first area. Switch drawing directions with Bi-Directional Drawing, placing a label, or other types of annotation is completely FreeForm. 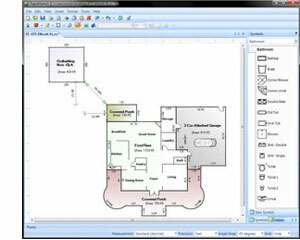 RapidSketch was built from the ground up to change the way Real Estate professionals looked at sketching. Instead of having tons of redundant features, RapidSketch has a few simple tools that can do it all. All Area Templates, Symbols, and Stock Label Libraries can be customized to fit your needs, and then backed up in the event your hardware fails. RapidSketch technology has raised the bar and made huge waves in the valuation industry, so check it out today.